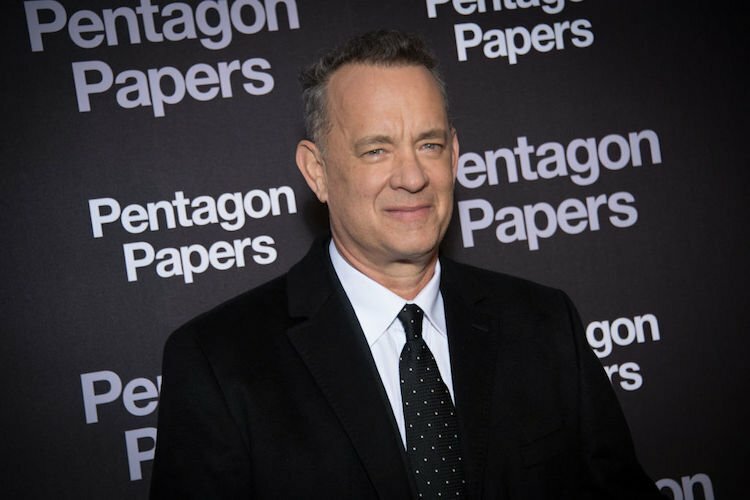 While the world quivers in fear from a series of other scandals, natural disasters and that guy who just won’t quit tweeting, there is a light at the end of the tunnel, and its name is Tom Hanks. Recently, the first photo from his upcoming role as Fred Rogers in the upcoming biopic You Are My Friend about the late PBS television host was released, and it came at just the right time. We know some people had reservations about Tom Hanks in terms of whether or not he could pull off the slender Rogers look, but as you can see, the transformation is shockingly spot on. And if there were ever an actor worthy to play the great Fred Rogers, Hanks it is. You Are My Friend will be the second biopic to come out on the late Rogers in a 16-month period, following Won’t You Be My Neighbor?, a Morgan Neville documentary with lots of early found-footage from the start of Rogers career more than 50 years ago. The new film, directed by Marielle Heller (Diary of a Teenage Girl), is set for an October 18, 2019 release.